and one of them actually dies in the attempt every 2 hours. Approximately 2 out of 3 of these youths are victims of the divorce industry. http://www.votefamily.us/615-2/ check out the links here. -Although some may believe mental illness doesn’t affect them, but it costs the country at least $444 billion a year. -These losses are especially tragic…because of growing evidence that early intervention can prevent mentally ill people from deteriorating, halting what once seemed like an inevitable decline. I am very passionate about child suicide caused by family court corruption because my oldest son is a victim of the divorce industry. After our force separation because of a highly corrupt “family” court, my son went from being one the best students in his class to suffering major depression, PTSD, suicidal ideation, and requiring psychotropic medication. It has become one of my life’s missions to prevent this from happening to other youth. Call To Action – GET INVOLVED! Volunteer! Donate! To this end, I am running for the Florida Senate for District 40. However, to win I need your support. My opponents either have the support of the Divorce industry or are lawyers with an inherent conflict of interest to oppose the Divorce industry, and have received hundreds of thousands of dollars from other lawyers and special interest groups. 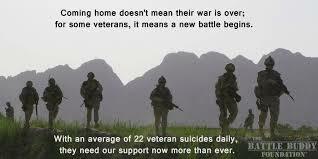 I need your help to help stop and/or reduce these suicides. Please donate any amount you can. I need at $10,000 dollars by August 1st to buy some very important ads for my campaign. Please, go to my site www.VoteMario.Us to donate any amount you can. http://www.AVNetnews.net– media, independent news and marketing. http://www.Oasisblueenterprises.com– Imported fresh drinking water, seafood and wines from Chile to name a few. http://www.ReGenesisRadio.com/category/cyrus-king-books-music/ – purpose driven books music. http://www.WhyDadsMatter.com– Advocates for both parents for our kids.